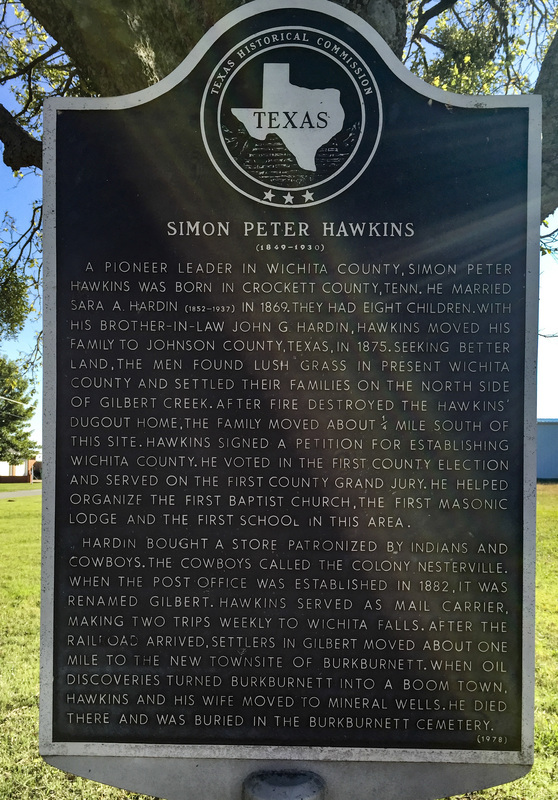 A pioneer leader in Wichita County, Simon Peter Hawkins was born in Crockett County, Tenn. He married Sara A. Hardin (1852 - 1937) in 1869. They had eight children. 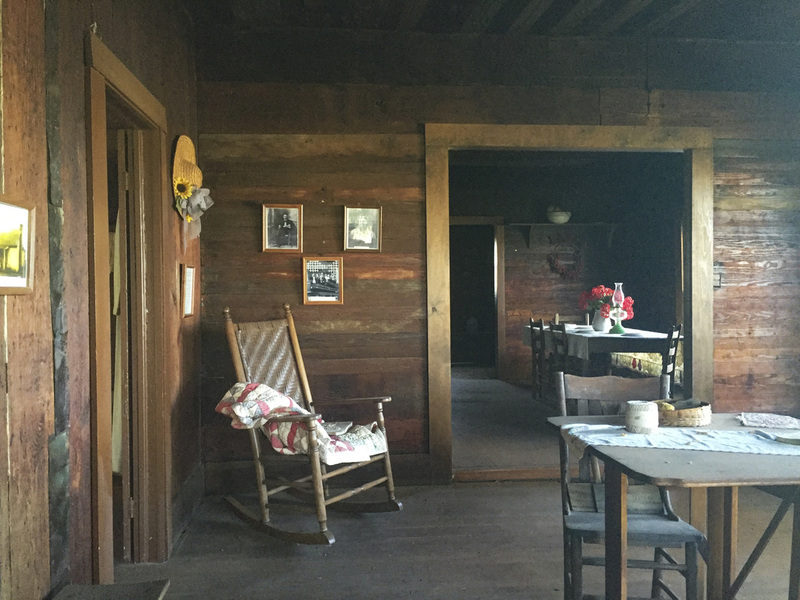 With his brother-in-law John G. Hardin, Hawkins moved his family to Johnson County, Texas, in 1875. 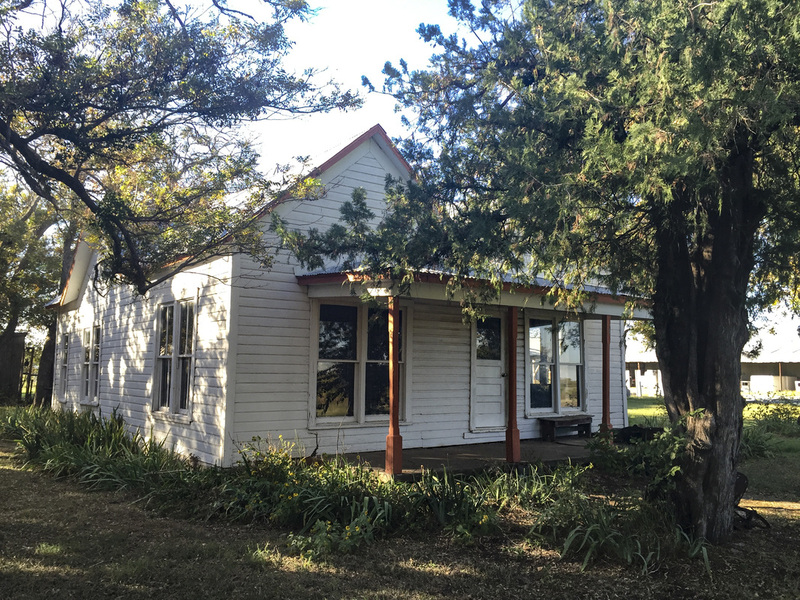 Seeking better land, the men found lush grass in present Wichita County and settled their families on the north side of Gilbert Creek. After fire destroyed the Hawkins' dugout home, the family moved about 1/4 mile south of this site. Hawkins signed a petition for establishing Wichita County. He voted in the first county election and served on the first county grand jury. He helped organize the First Baptist Church, the First Masonic Lodge and the first school in this area. The marker is located across the street from 529 Charlotte, Burkburnett, Texas, 76354. GPS 34-degrees 05' 15.9" -98-degrees 35' 10.8". The house is located approximately 150 yards behind the marker.